Basil and Guinness, you two look like bookends!! 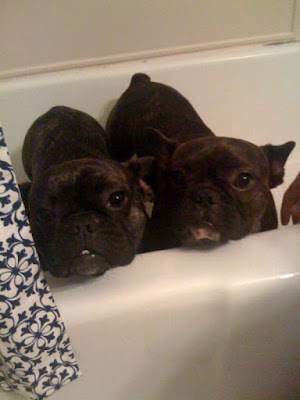 You know what they say, brothers that bathe together stay together~.... LOL! You two don't look to happy about bath time. Hope it wasn't to bad for you.